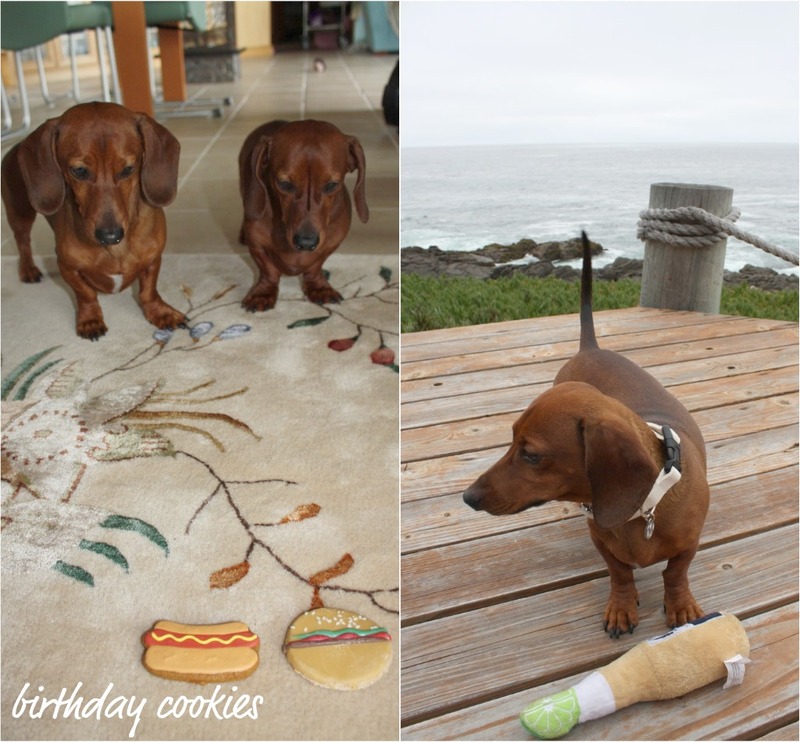 Then I Got To Thinking...: Happy 3rd Birthday Maximus & Zeus! OMG I love them! The picture of the two of them staring at their cookies made me laugh. Stinkin cute! Oooh what sweet pups and I am wishing them the happiest of birthdays! Oh no what happened to TL? Will read back and hope he feels better soon! Enjoy your time at the MILs. Look how cute they are!! Happy birthday boys! Oh my goodness....how sweet it is. Happy birthday Maximus & Zeus! Animals bring so much happiness!! Oh they are gorgeous, so cute!!! My uncle used to have dashunds they are a lovely breed, happy birthday guys! Happy birthday to these adorable pups! 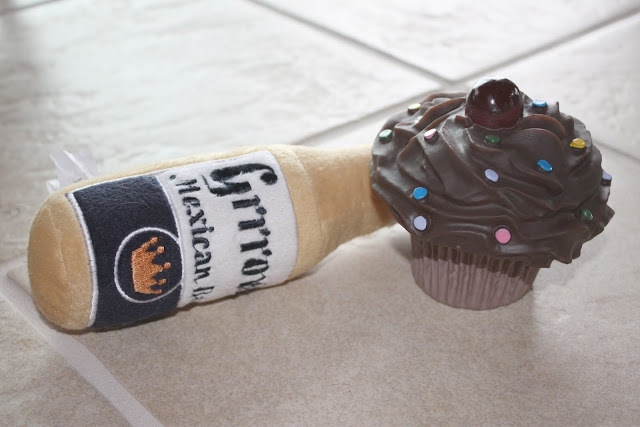 They are too cute for words, and I LOVE the adorable toys you gave them (especially the cupcake one - too cute). happy happy happy birthday puppies!!! happy birthday to them! they are soo cute. Aw, they are the cutest!! Happy Birthday to them! Awww happy birthday to them! So cute! I love that they're waiting for their birthday treats as you snap a photo. Adorable! love your puppies!!! Just found your blog and immediately started following, so cute! I'm so glad TL is getting better! 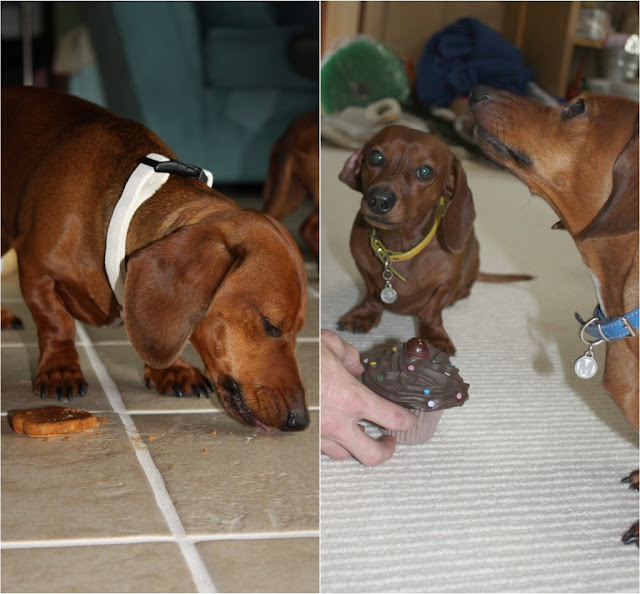 :) Annnnnnd HAPPY HAPPY HAPPY Birthday to two of the cutest pups around! :) Gracie dog sends them a big wooftastic hello from Tulsa and a Happy Birthday rawhide! Oh goodness these two are so cute! I love love weenie dogs! Such cute pups! Love that you celebrated their birthday, too cute! awwwww!!!!!!!! happy belated bday boys!